Competitiveness will feature prominently in the programme of the 2013 World Economic Forum on East Asia, taking place this week in Nay Pyi Taw, Myanmar’s capital. And rightly so: competitiveness is a critical driver of both prosperity and integration. The Global Competitiveness Report 2012-2013 paints a mixed picture of ASEAN’s competitiveness. 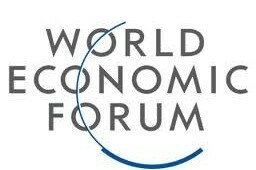 In the ranking of 144 economies, Singapore comes in second overall behind Switzerland. Cambodia, ASEAN’s worst performer, places 85th among the 144 economies studied (Myanmar and Lao PDR are not included). This profound competitiveness divide partly explains the slow progress towards the realization of the ASEAN Economic Community. Singapore is in a league of its own, while Malaysia performs consistently well. But with the exception of “financial development”, there is still room for improvement. The competitiveness gap within ASEAN is deep across all dimensions. The state of transport and electricity infrastructure, as well as low technological readiness, is an area of concern for most ASEAN countries. The performance of most countries is inconsistent across the different dimensions. The macroeconomic environment is sound in a majority of countries, much sounder than many troubled European economies.